The rainfall and temperature climate outlook maps show the percentage chance of experiencing wetter/drier (and warmer/cooler) than median1 weather for the upcoming three months. Outlooks for separate months as well as the three-month period are available. The climate outlooks are issued twice-monthly. The outlook released mid-month provides a 'first look' at likely rainfall and temperature patterns for the months and season ahead. 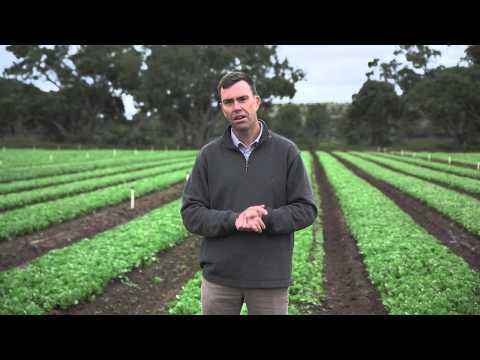 The outlooks released at the end of the month update the mid-month outlook, and hence provide the Bureau's best advice on the likely temperature and rainfall patterns. Additional information on the likelihood of rainfall exceeding particular totals is also provided, as well as the rainfall totals that have a specific chance of occurring (e.g 75% chance of 100 mm). The climate outlooks are generated from the Australian Community Climate Earth-System Simulator–Seasonal (ACCESS-S), the Bureau's dynamical climate model. While weather forecasts can tell you what the temperature will be tomorrow and how much rain to expect, climate outlooks cannot be this specific. This is because they are looking further ahead and the further we look ahead, the more small random changes can amplify into different weather patterns. However, longer-term forecasts of seasonal statistics, such as whether rainfall or temperature will generally be above or below median, are possible to accurately predict. Probability-based outlooks are designed to be used as one of several planning tools within risk management and decision-making. The greatest benefits of using Bureau climate outlooks will accrue from long-term use, for example over a 10-year period. 1 Median is a measure of what is considered typical rainfall or temperature for a specific location - similar to mean or average. Due to the high variability of rainfall, and the fact that in some locations, one very wet year can substantially change the overall average, using the median (the middle number when you rank past rainfall or temperature from lowest to highest) is the best representation of typical rainfall. The outlooks are issued twice a month, usually on the second and last Thursday of each month, at 10 am AEST/AEDT. Download schedule as calendar file (ICS). 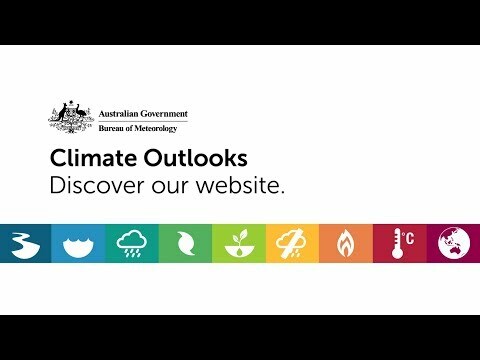 We welcome feedback about the climate outlook service. Climate outlooks are given as a probability (or chance) of exceeding a specified threshold. In the case of the Bureau’s rainfall outlook, it is provided as the chance of rainfall being above median, expressed as a percentage. Outlook scenarios (the three-month or individual monthly rainfall amounts that have a specific chance of occurring, e.g. 25%). The climate outlook data is prepared on a 60 km by 60 km grid. So chance of above median forecasts are calculated for an area of approximately 3600 km2 (60 km by 60 km), not for the specific longitude and latitude displayed in the pop-up boxes. For the chance of at least and outlook scenario maps, a statistical technique is used to transfer the chances for the larger region to a smaller 25 km by 25 km region (the Bureau's rainfall data set is used, which has a 25 km by 25 km resolution). This is the resolution of the outlook scenario and chance of at least maps (including the chance of at least information shown in the graphs in the location pop-up boxes) – see example pop-up box right. Outlook scenario maps convert the climate outlook into the rainfall amounts which have a 75%, 50% or 25% chance of occurring. To illustrate, the map on the right shows the rainfall outlook from 1 July to 30 September 2008. The colours on the map show the amount of rainfall (mm) that has a 75% chance of occurring during this period. The location highlighted with the black circle in western Victoria, has a 75% chance of receiving at least 100 mm and possibly up to 200 mm of rain. Chance of at least maps present the seasonal rainfall outlook in a different way. You can choose from 12 different rainfall amounts (in mm) for the coming season. The map displays the chance of receiving that amount. To illustrate, the map to the right shows the chance of receiving a total rainfall amount of at least 150 mm between July and September 2008. The colours on the map show the percentage chance of 150 mm of rain occurring. The location highlighted with the black circle in western Victoria has a 65 to 75% chance of 150 mm of rain occurring during the period. Chance of at least rainfall outlook maps are consistent with the outlook scenarios. For the same location in the examples above, the chance of at least 150 mm of rainfall is 65 to 75%, which is consistent with the outlook scenario which shows a 75% chance of at least 100 mm, and possibly up to 200 mm. Median is a measure of what is considered typical rainfall or temperature for a specific location - similar to the mean or average. Due to the high variability of rainfall, and the fact that in some locations, one very wet year can substantially change the overall average, using the median (the middle number when you rank past rainfall or temperature from lowest to highest) is the best representation of typical rainfall. The medians (or 50th percentile) for Bureau climate outlooks are calculated from the 1990 to 2012 period. The quality of dynamical model forecasts is partly determined by the coverage and accuracy of the observations fed into the model. Therefore, to be consistent from one year to the next, the Bureau has only run its model during the modern satellite era, which is why medians are calculated post-1980 for climate outlooks. Median maps for the 1990 to 2012 period for all months and seasons are available from the climate outlook Map archive and Median maps. The median maps on the climate outlooks website will sometimes differ from other median maps on the Bureau's website. This is because the dynamical model forecasts use a period of 1990 to 2012 to calculate medians (as explained above), while the median maps located on other parts of the Bureau's website use the full Bureau climate record (which extends for more than 100 years). Model accuracy (also known as model confidence or model skill) is a measure of how well the model has performed at that time of year in the past. One way that the Bureau measures the accuracy of its climate models is by comparing how often the real outcomes matched the forecast. This measurement of accuracy is known as percent consistent (or past accuracy), and has been tested for the Bureau's climate outlook model over the period from 1990 to 2012. Past accuracy is not the only way the Bureau assesses climate models, but it is presented here as it is one of the simplest and most informative measurements of accuracy. Other aspects of overall model ability (skill) are also routinely assessed. Past accuracy maps for all months and seasons are available from the climate outlook Map archive and Accuracy maps. On these maps, the higher the percent consistent value for an area (i.e. the /greener/darker the map), the greater the accuracy of outlooks has been in that area for that time of year and the more confidence can be placed in future outlooks. Areas of the map that are not shaded have a lower record of accuracy in that area for that time of the year. In the least accurate areas, the outlooks perform no better than random chance (equivalent to the flip of a coin). As a guide, the Bureau uses the terminology in the table on the right when referring to the accuracy of the outlooks. The accuracy for the second month ahead is generally less than the accuracy for the first month ahead; this is to be expected as the second month looks further into the future and is further from when the outlook period starts. Similarly, the accuracy for outlooks issued at the end of the month, or closer to when the outlook period starts, is typically higher than the accuracy for outlooks issued in the middle of the month. Australia's climate can vary greatly from one year to the next. The links below, present the main, but not all, influences upon the Australian climate. Influences will have varying levels of impact in different regions at different times of year. See: Australian climate influences.